As you will see in the following examples throughout this website GSL has extensive skill sets to meet your every need. Once the project is completed GSL also offers ongoing maintenance services to keep your yard beautiful and make sure your investment looks great. If you are tired of paying by the hour and not really knowing what your maintenance crew is doing all those hours we have a great program that charges by the month. We will assess your landscape needs and quote a monthly charge. A monthly fee is generally more cost effective then paying by the hour for a set number of hours. Give us a call at 831-224-4006 for a free assessment and quote! Below are a few beautiful examples of the landscape skills we employ! 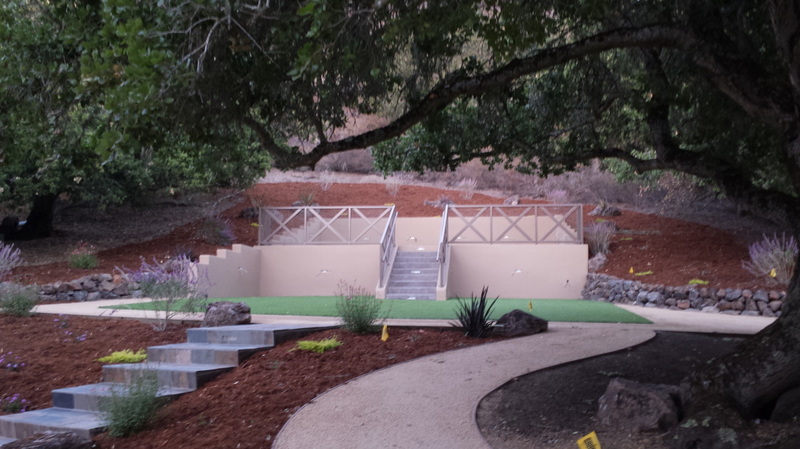 Bocce Ball Court before and after pictures! Outdoor Fireplaces, Water Features, Stone Patio's and Walls, Boulders and much, much, more! 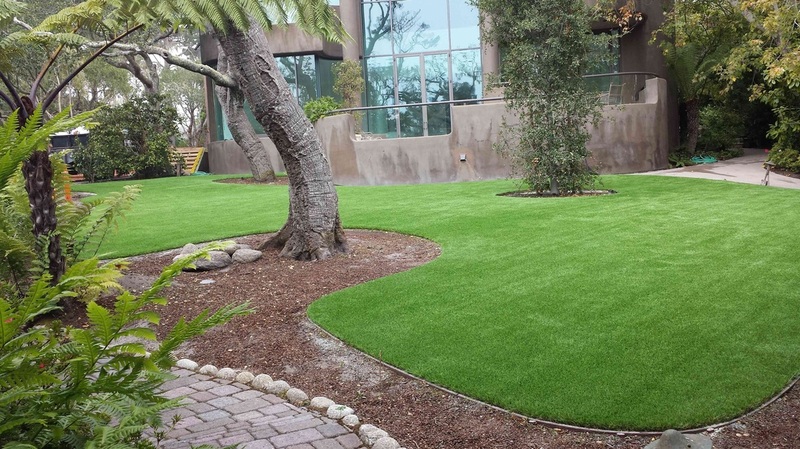 Beautiful lush artificial lawns requiring no water or maintenance! Beautiful Mossy Boulders Placed Right Where You Want Them! Large mossy boulders from the Sierra Nevada mountains. GSL has the equipment required to do the job! GSL has the capability to grade and prepare the area for planting.